Is this semester going too fast for you? Are you already drowning in work, even though the semester just started? Take a break from your responsibilities and plan on hiking with us in February! The Los Robles Trail to Angel Vista Point is a 7.2 mile out and back hike. The hike starts in Thousand Oaks and goes through an Oak Grove before entering into the Hope Nature preserve. With all this rain, there is bound to be some visible greenery! There is a picnic table at the vista point, where we can sit and enjoy lunch with Dr. Haas. FUN FACT: On a super clear day you can even see the ocean and Channel Islands! 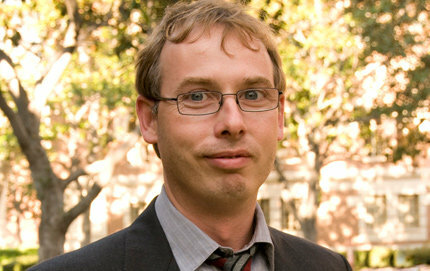 Dr. Stephan Haas has been a USC College faculty member since 1998. He was recently named the vice dean for research. Dr. Haas facilitates interdepartmental and cross-school research partnerships, oversees the research administration, and develops and leads college-wide research initiatives. Dr. Haas is a theoretical physicist with research interests in nanoscience, quantum magnetism, unconventional superconductivity, and the properties of quantum-many-body systems. His research has received support from the National Science Foundation, the Department of Energy, the National Institutes of Health, and the Department of Defense. In his free time, Dr. Haas loves hiking and setting time aside to play the piano! Be ready for dad jokes, bear puns, and oldies music!